(NEW YORK) — Getting a tax refund this year and not really the type who likes to save? The average refund so far is just over $3,0000. Depending on where you start, that money can take you far, far away –- on a vacation. Here are three destinations where airfare, hotel and sometimes much more will cost less than the average refund. 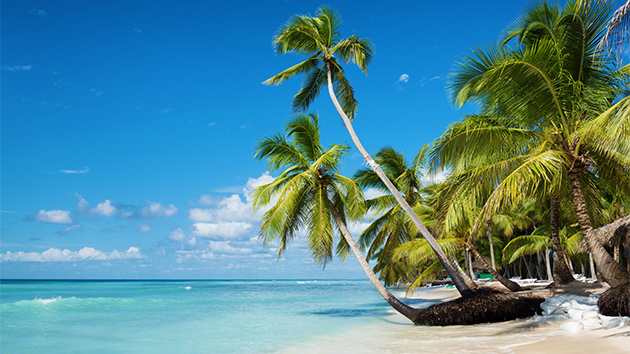 PleasantHolidays.com has an array of offers for travel — including airfare and hotel — to Tahiti. But you have to act fast; the deals have to be purchased by April 17. However, you have until the end of the year to take your trip. Here’s a sample trip: Seven nights at the InterContinental Moorea Resort and Spa. Vacation includes $600 per booking discount, round-trip airfare on Air Tahiti Nui, seven nights accommodations in a Garden Pool Junior Suite Bungalow, daily breakfast for two, round-trip inter-island ferry transportation and all applicable transfers. The price: $2,705. Go-Today.com has more than 200 vacations on offer, but if you dream of Thailand but are short on time, a seven-night trip that includes both Phuket and the rain forest is an excellent option and priced at just $1,999. That price includes a round-trip flight from Los Angeles to Phuket (other origination cities available), three nights in Phuket, and a four-day escorted elephant beach and rain forest tour with accommodations in luxury tents. Some meals plus taxes are also included in the price. This 10-day trip from Friendly Planet is priced at $2,699 and includes airfare and 13 meals, in addition to accommodations (deluxe hotels and safari camps) and tours. The trip starts in bustling, cosmopolitan Dubai and then moves on to the legendary game reserves of Kenya. The price reflects airfare from New York but other departure cities are available. Travel September through December.